For nearly fifty years, the materials handling sector in Central Illinois, including customers in Effingham, Champaign, Mt Vernon, and Decatur have been trusting Bahrns Industrial Supply Company for their industrial supply needs. Founded in 1966, Bahrns has grown steadily on the back of high-quality products and customer service and we have two facilities from where we serve our customers - Effingham and St. Joseph. Bahrns.com is the web portal for everything that Bahrns Equipment, Inc. has to offer, and allows us to provide our top-notch service to customers throughout the United States and Canada. Bahrns.com offers the entire catalog found at Bahrns Equipment, Inc. / Bahrns ToyotaLift, but with the ease of online access. Visit our online catalog now. We pride ourselves in being the most comprehensive Industrial Supply Company in the area, a one-stop shop for material handling needs. We know that time can be short for business owners, and convenience is of the essence. One of the reasons that local business owners return to Bahrns ToyotaLift time and time again is our selection of goods and equipment. 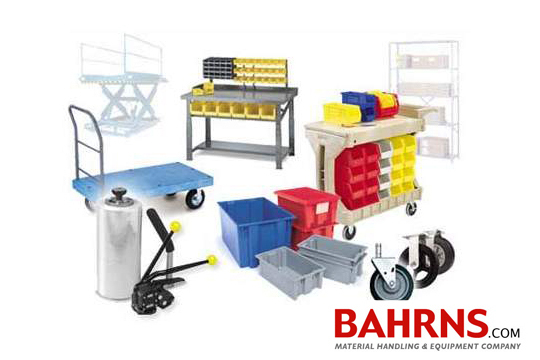 Browse the online catalog at our Bahrns.com site and see just how much we have to offer from everyday materials such as packing tape, to large pieces of equipment such as forklifts, and everything in between. If you don’t see it in the catalog, that doesn’t mean we can’t get it for you – simply contact our customer service department and see what they can do. At Bahrns ToyotaLift of Illinois, we research every product before we are willing to sell it. We know that quality matters to the individual business owner, and it matters to us as well. With nearly fifty years of experience, we have found that quality and service is what matters most to our customers. We stand behind the products we carry. Not only do we sell them, we use them in our own facilities. 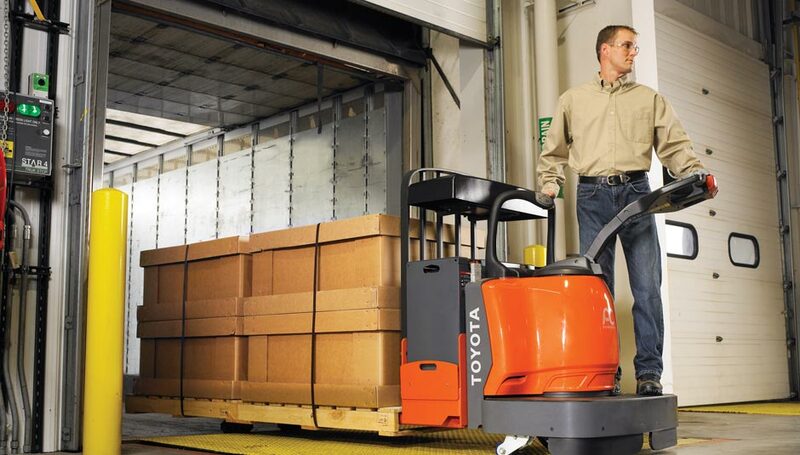 When you purchase Industrial and Materials Handling products from Bahrns ToyotaLift of Illinois, you should know that you are getting the best products the industry has to offer, at the best possible prices. Having a great selection of goods and high quality products is fantastic, but what has cemented Bahrns ToyotaLift as a trusted supplier for Central Illinois is our customer service. Our staff has a commitment to service that is hard to find anywhere else in the shop, on site, or online. Whether you are looking for information regarding products, recommendation on products, advice, or service after the sale, our experienced and friendly staff are here to make sure you walk away satisfied and ready to return the next time you require industrial and material handling assistance. 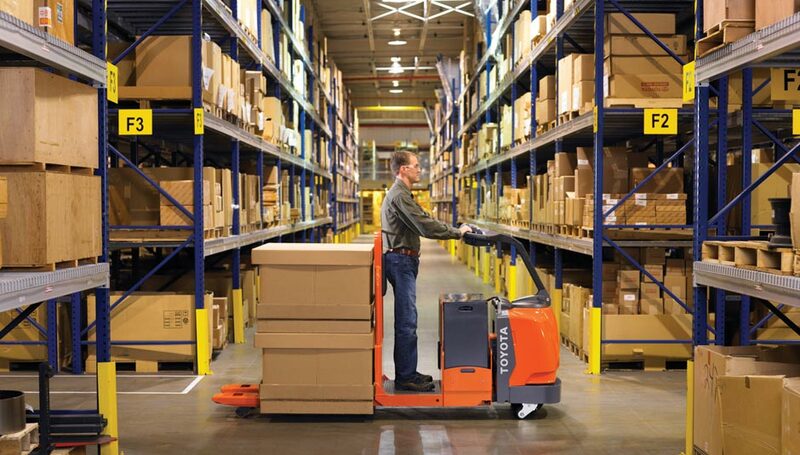 When your growing business is in need of new material handling or industrial products, from lift trucks to safety equipment, you’ll want to get as much as possible from a single supplier. This makes ordering faster and easier. It makes keeping track of your cash flow less hectic. With such a comprehensive inventory of material handling and industrial equipment, your first step in ordering should be to look through the catalog of Bahrns ToyotaLift or online at Bahrns.com. When you place an order with Bahrns ToyotaLift of Central Illinois, rest assured your order is safely in the hands of a company that has been the trusted provider of equipment throughout the region since 1966. We have been counted on to deliver quality products and have an experienced, dependable staff to assure you get the right product for your materials handling needs. Our valuable customers will tell you there’s no place they would rather deal with than Bahrns ToyotaLift. So get started placing your order for industrial supplies today. You can choose from shopping through our online portal, contacting our customer service department by phone or e-mail, or stopping by one our locations in St. Joseph or Effingham, Illinois. Please don’t hesitate to ask any questions you may have our customer service team is ready to help you.